Take sugar in a shallow dish smear edge of the glass with a little lemon juice. Turn the glass into the dish till the sugar sticks to edges. Leave to dry. Meanwhile take tonic pour into a plastic container & put in the freezer. When the tonic is completely frozen crush it with a spoon and put it in a chilled martini glass – add lemon juice and gin. Pour into a glass alcohol and swirl it carefully so that the alcohol covers the walls, pour away remaining alcohol. At bottom of glass pour a drop of Grenadine, complement Rum. Kindle the glass for effects, blow and drink. THERE ARE A MYRIAD OF SPIRITS for the Old Gods and The New… .. over here …. 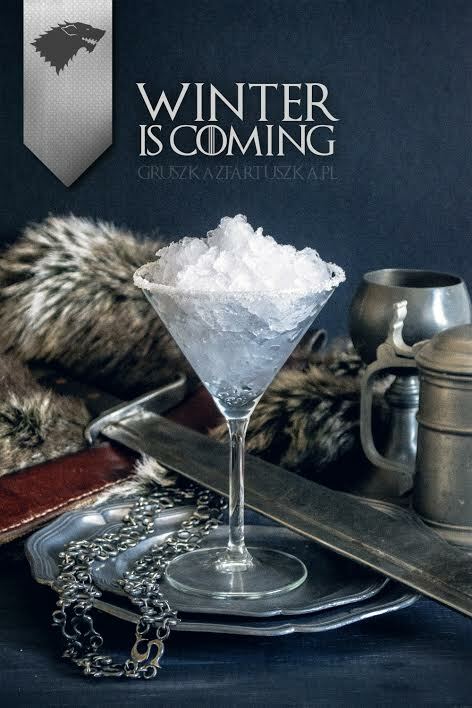 OMG.. now go drink like Tyrion …. 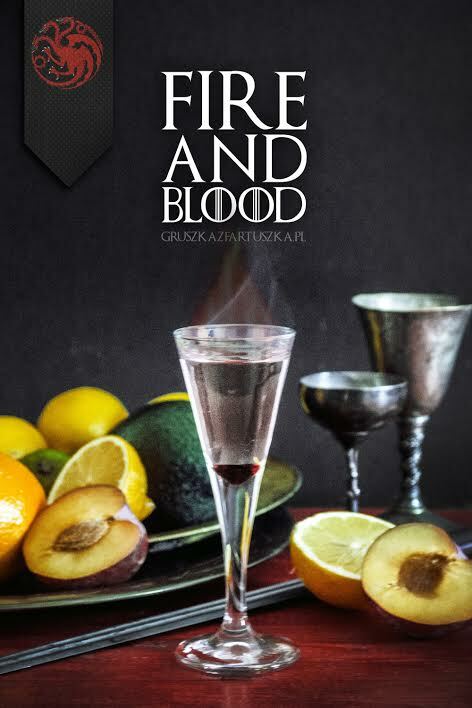 This entry was posted in Dranks, Food and Livations, Game of Thrones, Game of Thrones and tagged cocktails, Drank, Drinks, Game of Thrones, Spirits by superbbness. Bookmark the permalink.